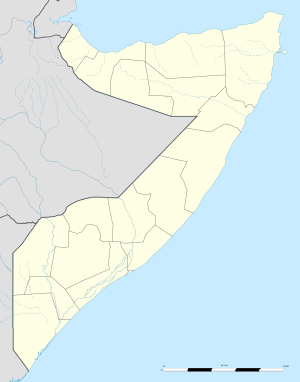 Bargal (Somali: Baargaal, Arabic: بارجال‎‎) is a town in the northeastern Bari region of Somalia. 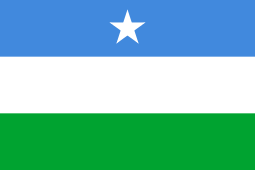 Bargal is situated in the mountainous Bari province of the autonomous Puntland state. It serves as the center of the Bargal District. Ruins of the Majeerteen Sultanate King Osman Mahamuud's castle in Bargal, built in 1878. Bargal was a seasonal capital of the Majeerteen Sultanate (Migiurtinia) in the pre-independence period. In June 2007, it was the location of the Battle of Bargal. In 2012, the Puntland Highway Authority (PHA) announced a project to connect Bargal and other littoral towns in Puntland to the main regional highway. The 750 km thoroughfare links major cities in the northern part of Somalia, such as Bosaso, Galkayo and Garowe, with towns in the south. As of 2000, Bargaal had a population of around 8,200 inhabitants. Bargal has a number of academic institutions. According to the Puntland Ministry of Education, there are 3 primary schools, one secondary school and also Institute in the Bargal District. These include Wadikhayr, Taageer and Bargaal Primary. ↑ "Puntland to upgrade Bosaso-Garowe highway". Sabahi. 28 June 2012. Retrieved 6 November 2012. ↑ The First 100 Days in Office Archived February 23, 2013, at the Wayback Machine. 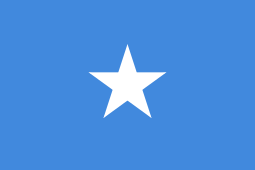 ↑ "Somalia City & Town Population". Tageo. Retrieved 4 October 2013.